Cranbrook, BC (May 15, 2018) -- Property tax notices for the City of Cranbrook have now been mailed to all property owners on record. If you have not received your notice by the end of May, please contact City Hall at (250) 489-0233 so that a copy may be forwarded to you. Taxes are due on Tuesday July 3, 2018, after which time a 10% penalty will be added to any unpaid current taxes. Home Owner Grants may be claimed even if current taxes are not paid in full. Penalties apply to Home Owner Grants not claimed by July 3, 2018. If you are participating in the pre-authorized payment program, please note that the prepayment amount on your tax notice includes the May 15th and June 15th payments. As your prepayment amounts were based on an estimate there may still be a balance owing. To avoid a penalty, please review your Tax Notice carefully and make sure you pay any outstanding balance prior to July 3, 2018. To help you avoid the last minute rush, we accept post-dated cheques. We also accept Interac Debit Card payments. Payment may also be made by telephone/online banking and through most financial institutions. You must still claim the Home Owner Grant at City Hall or online via the EHOG (Homeowner Grant) link. Click here for our 2018 Property Taxes FAQ. The City of Cranbrook is continuing to offer a property tax prepayment plan. Now you can budget your property taxes and avoid the July property tax “blues”. Monthly tax payments are made through your bank by preauthorized debits on the 15th of each month, starting in July 2018 for the 2019 taxation year. Application forms are available from the City Hall Tax Department. If you would like one mailed, please contact us at (250)-489-0233. If you are currently enrolled in the pre-authorized tax payment program, any overpayment on the 2018 property taxes will be applied to the first payment(s) for 2019. NOTE: Before applying for any of these tax deferment programs, you must pay all penalties, interest, previous years’ property taxes, and utility charges, as these charges cannot be deferred. For more information on these programs, please contact the Tax Department at (250) 489-0233. The City of Cranbrook is pleased to announce that you can once again claim your Home Owner Grant online. This feature is available via the EHOG (Homeowner Grant) link under the ‘Residents’ tab on our website. The eHOG password to access the form is found in the address portion at the top left-hand side of your 2018 tax notice. Please read the instructions on the City’s website before proceeding to the grant application form. IMPORTANT: Financial Institutions DO NOT accept Home Owner Grant applications. If you pay your property taxes at a Financial Institution, please ensure you claim your Home Owner Grant online or at City Hall before the due date (July 3, 2018). 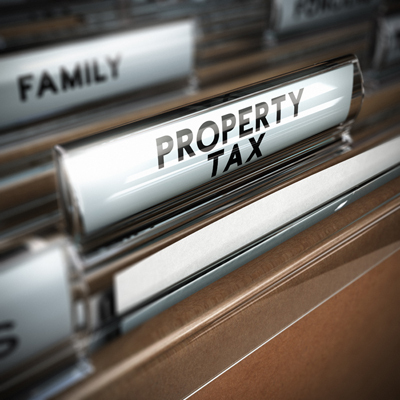 Click here for our 2018 Property Tax FAQ.